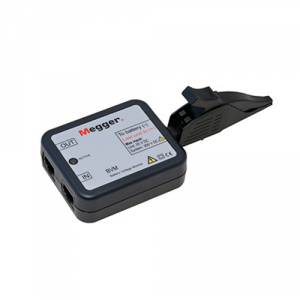 The Megger BVM is a battery voltage measurement device that is used for the capacity testing of large, industrial battery banks commonly found in electrical power sub-stations, telecom facilities and computer data center UPS systems. When used in conjunction with a load device, such as the TORKEL unit, and test data management software, such as PowerDB and TORKEL Win, the BVM enables the user to perform a completely automated battery bank capacity test, according to IEC test method. The test also meets NERC/FERC requirements. The BVM is designed in modular form where one BVM device is used for each battery or “jar” in the string to be tested. One BVM for each battery connects to the next in a “daisy-chain” fashion, thereby providing easy and economical expandability to meet the testing requirements for small-to-large battery bank systems.